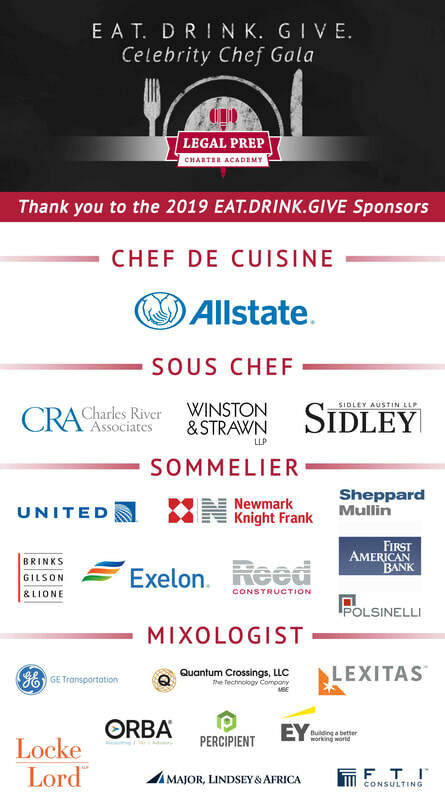 We are looking forward to our Third Annual EAT. DRINK. GIVE this upcoming April 25th, 2019 and we hope you can join us. This year we will be honoring Susie Lees, Executive VP and General Council of the Allstate Corporation for the wonderful support she and Allstate have shown Legal Prep since our founding. We hope you can join us for this wonderful evening!